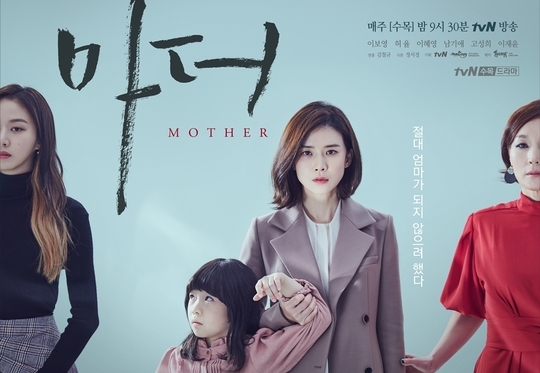 “Mother” chosen as the Asian representative drama and advances to the CANNESERIES. It is official, tVN‘s thriller drama “Mother” (directed by Kim Cheol-kyu/ Writer Jung Seo-kyung) will advance to the first Cannes International Series Festival, CANNESERIES. On March 13, a festival official reached out to the drama’s producer informing them of the show’s advancement. Notably, the official said, “I am delighted that ‘Mother’ has been chosen to represent Asia in the official competition, where only ten titles from nine countries in the world are selected.” Further, the ten finalists survived from a pool of 130 competing works from around the world. Moreover, this is the first time that a Korean drama has made it to the Cannes stage. With the Cannes International Series Festival being the main event of MIPTV 2018, the global TV and digital content market, the advancement highly significant. In fact, this level of importance is especially true considering 2018 is the festival’s first year. The entire festival takes places from April 4 – 11. More, the 10 finalists selected for the official competition will screen at the Lumiere Grand Theater from April 7-11; among them, “Mother” will screen at noon on April 9. On the last day of CANNESERIES, an award ceremony will take place for various categories. These categories include best music, screenplay, special performance prize, performance, and series. Additionally, director Kim Cheol-kyu, writer Jung Suk-kyung, lead actors Lee Bo-young and Heo Yool will attend the event and walk the red carpet.